Bare metal surfaces are a challenge to clean and keep clean! Here is product that not only removes those unsightly finger prints and smudges quickly, but also leaves a non sticky coating behind that keeps normal fingers prints from reoccurring. 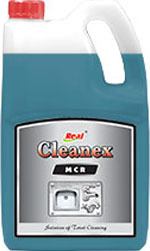 Cleanex MCR can be used as a stand alone cleaner for cleaning all types of metal highly recommended for stainless steel. 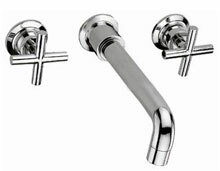 Cleanex MCR removes all stains, all old polishing compounds, soap scum, corrosion, dirt, everything from below the surface and metal fittings. Cleanex MCR is concentrated deep cleaning product for pool side, wet areas, pool walls. 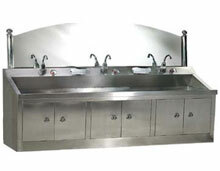 It can be used as a deep cleaning toilet decoler for stainless steel urinals. Cleanex MCR also used as water corrosion descaler. Always wet metal or water corrosive areas with water first, then apply MCR with damp cloth, rub in any direction untill all heavy contaminants have been removed than wash off with cloth and dry. Do not use on aluminum and crrome metal. Do not use on acid sensitive floor and areas.